Hex Gambit is one of the cleverest games I have played in a long time. 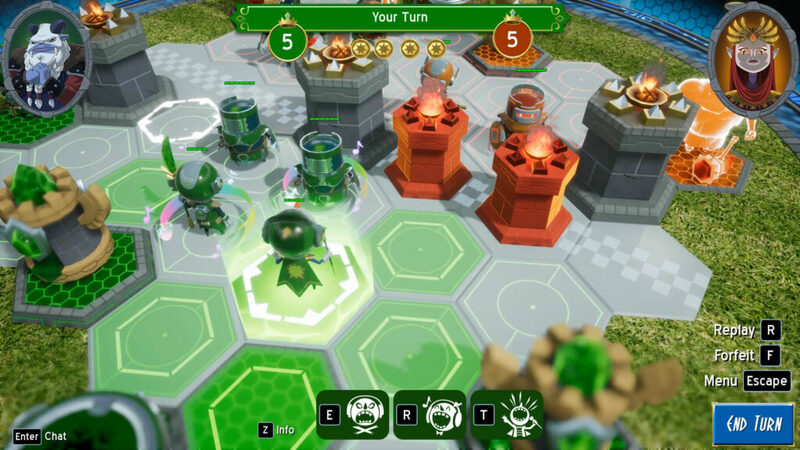 This turn-based arena strategy game is incredibly deep with its multitude of units and tactics. The feeling of satisfaction by outsmarting your opponent is euphoric. However, being outsmarted is like a punch in the gut. Everything about Hex Gambit is fair. There is no RNG whatsoever. You and your opponent both get the same types of units, and only skill is the defining factor over who wins and who loses. Developed by One Man Left, the game begins with a simple tutorial that sums up the game perfectly: “Hex Gambit’s pretty easy to pick up. Refining your tactics, that’s the tricky part.” And tricky it is. There are seven different units you can use to defeat your opponent. Each unit has three moves they can use with some of them being activated based on the amount of victory points (VP) you have. Victory points are earned either by killing an enemy unit or by tapping one of the two pillars they control. The first player to get to 10 victory points wins the game. Special moves also unlocked for units based on how many victory points you have, so the more points you have, the stronger your units are. There are seven different units you can use to defeat your opponent. The Soldier slashes its opponent and can push enemy units into another hex, which is important as positioning is crucial in this game. The Sniper can attack from long-range, but also has an airstrike move that bombs a target three spaces away for three damage, which is great because they are fragile units, so being a distance away from enemy units is important for its survival. The sniper can also tap a pillar from any range to give your team a crucial victory point. Hex Gambit also includes support units as well. The Motivator unit can destroy armor and debuff enemies. Their inspire skill helps surrounded allies take less damage. This unit also lets out a powerful shout that lets a unit be able to be used again after its initial turn. There is the adorable Pacifist that fights with the power of love! Using sweet words and kindness through understanding, it can pacify an enemy unit so it doesn’t attack during its turn. The Pacifist can also give its own health points to friendly units, healing an important unit that you need to stay alive. It can stand guard by standing beside a friendly pillar, making it untappable in order to deny your opponent the opportunity to gain a victory point. The Defender, Runner, and Brute sum up the rest of the units in the game. The Defender uses its huge body to shield other units or create barriers that cannot be blocked, move or “crowdsurfed”. Crowdsurfing is a unique mechanic when a unit bounces on top of a friend or foe’s head to move long distances in a straight path costing only one movement point. If you see units standing in a straight line, this can be used as a great tactic to move around the board. There is also “spawn blocking” as well. When you place your unit on an opponent’s spawn point, they cannot summon reinforcements. 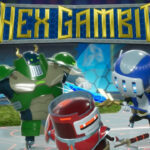 Hex Gambit rewards skill and creativity when it comes to battling an opponent. The Runner is primarily used to quickly tap an opponent’s pillar using its dash ability. It can also cause damage to enemy units by crowdsurfing over them. The Brute is a power unit made to smash the faces of your opponents units, but it can also toss one of your units to a different hex, to block, attack an enemy unit or tap your opponent’s pillar. Single player pulls no punches either. You will lose often, but learn the intricacies needed to not get trounced online. Playing against players online can be overwhelming with learning what and how to use your units. 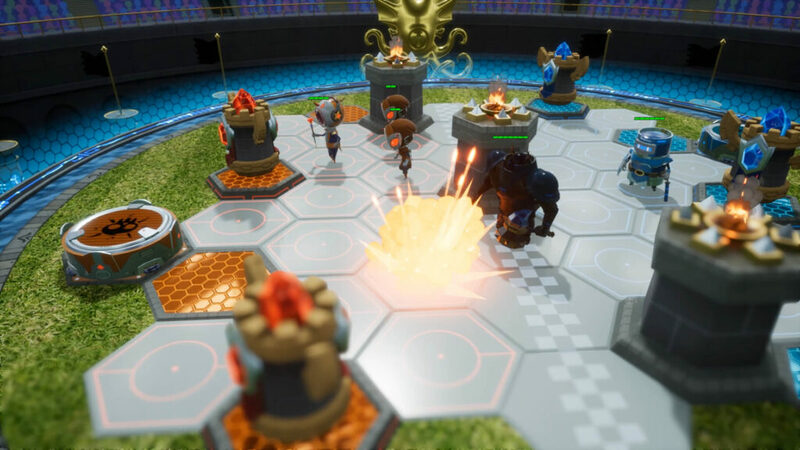 Luckily, the game comes with a single player option called Blitz Royale where you choose a Captain to face off against six other Captains, each with different ultimate abilities they can use that could possibly be a game changer. You fight six consecutive battles using the same pool of units you chose in the beginning. Your units will be healed after every battle and your replacement units, if needed, are reinforced by random units. Once you lose a game or run out of minions, the game is over. Single player pulls no punches either. You will lose often, but learn the intricacies needed to not get trounced online. It is a good idea to find a captain that suits your playstyle. There is also the Apex Cup. Which is a massive online turf war between three factions. After you pick your faction, you will choose a tile on the game map to battle and gain more territory for your side. At the end of the season, the faction with the most territory wins the cup and the top performers getting the accolades they deserve. It was brilliant for the developers to make asynchronistic turns when playing against someone. The game does suffer from issues other than a high learning curve. Also during almost every match, the announcer repeats the same thing over and over again. You cannot skip this. It may seem minor, and it is, but after playing numerous games, it does get annoying. If you are a patient gamer that is willing to take numerous loses until the game clicks with you, I highly recommend this game. It was brilliant for the developers to make asynchronistic turns when playing against someone. There is also an option for steam to notify you when it is your turn. This system makes the game very multiplayer friendly. I am willing to admit that I lost all of the multiplayer games I played but I learned something new each time. The community is very welcoming. A friendly opponent was nice enough to give me tips as he destroyed me. 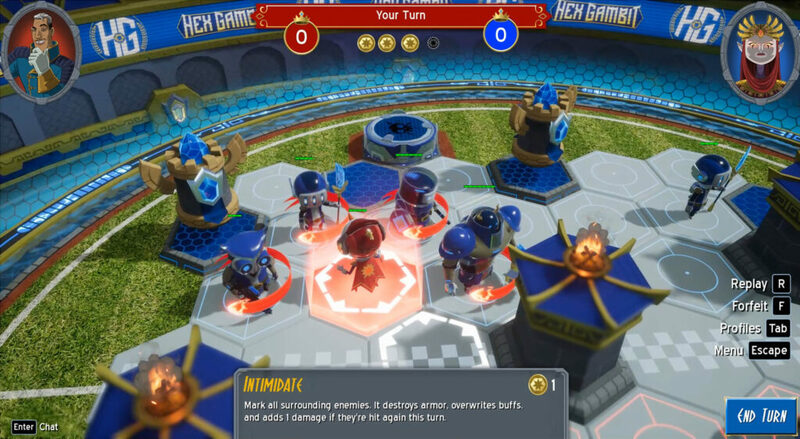 Hex Gambit’s coliseum-like atmosphere where the crowd cheers for destruction can be addicting. 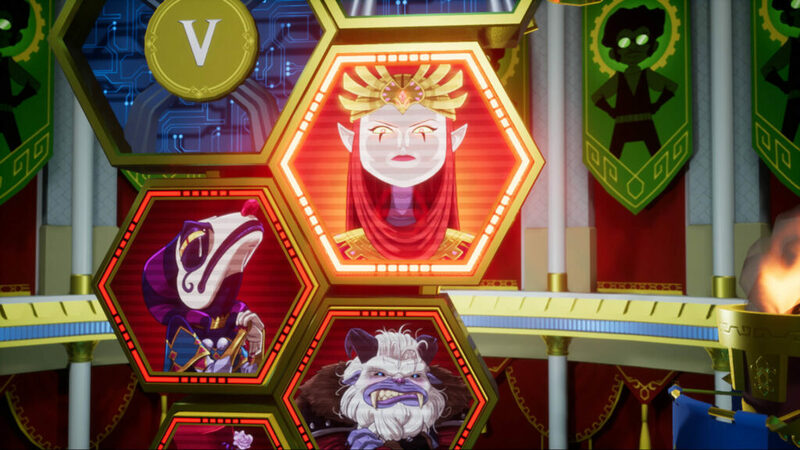 The game might not be for everyone, but if you want a game where only pure skill matters, Hex Gambit is a great choice to add to your collection. Graphics and settings fit the game well. Helpful community that will trounce you. Oh my God, the learning curve is a cliff. Angry table-flipping may occur due to frustration. I live in New York with my dog Jace and yes, he was named after the character from Magic: The Gathering. I love games of all types, especially turn-based strategy games. I've been published and writing for decades and now i'm writing about my favorite hobby! I also stream as much as possible. Finally, I love to pet my dog. Seriously, he's cute. But hey how hard can that be to code? Continuing sharing bits of lore with you! This time let's go east, north and deep in the Aldor's forests to see who dwells there. Want to help turnbasedlovers.com grow?? You are free to write on my website, anything you want about TURN-BASED GAMES. Email at info@turnbasedlovers.com. I will be happy to answer you.